In another message apologising to those who had been affected, the Home Office wrote: "The deletion of the email you received from us on 7 April 2019 would be greatly appreciated." The government has already made an unreserved apology after making a similar error with emails sent to 500 members of the Windrush generation. The department notified the Information Commissioner's Office and made a statement in Parliament. 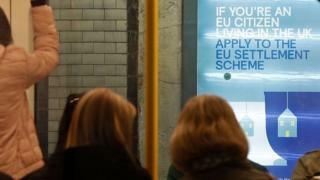 Nicolas Hatton, from the 3 Million group that campaigns for EU citizens' rights, said the incident showed the settled status process was not sufficiently robust. "It feels like it adds insult to injury," he said. A Home Office spokesman said: "In communicating with a small group of applicants, an administrative error was made which meant other applicants' email addresses could be seen. "As soon as the error was identified, we apologised personally to the 240 applicants affected and have improved our systems and procedures to stop this occurring again."